Does the Koran contain any fulfilled prophecies? Jesus-Islam » The Koran » Does the Koran contain any fulfilled prophecies? For Muslim theologians, the Koran is a miracle because of its prophecies about the future, which are considered completely reliable. A precise knowledge of the events of the future, it is said, can only be explained by a supernatural revelation. One of the most obvious prophecies is found in Sura 30, the chapter about the Roman Empire. The Koran mentions a recent defeat of the Roman Empire, and predicts their victory a few years later (Sura 30 verses 2-4). It happened. The Persians defeated the Romans in 614, but the Emperor Heraclius finally defeated the Persians in 622. Other predictions, whose fulfilment took longer, are further evidence, say the Muslim theologians. For example, the Koran says “… their skins will testify against them to denounce their actions” (Sura 41 verse 20). In reading these verses, one may wonder how the skin can testify against a man. 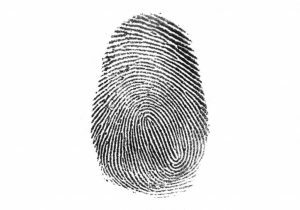 Mohammad did not know the techniques of fingerprint analysis, he did not know that our skin could testify against ourselves. This verse is therefore a prophecy that has come true in modern times, they say. Several other prophecies like the two above, accomplished both in ancient times and modern times, are cited as evidence to confirm that the Qur’an is the Word of God. If it is possible to prove that the Koran contains real prophecies that have been fulfilled, then we have a good reason to believe that it may be inspired by God. This is notwithstanding the number of witches, fortune tellers and other false prophets who have nevertheless made amazingly accurate predictions. Were they inspired by the same God? In such cases, the very general nature of the prediciton is made to fit to a very specific so-called fulfilment. However, when we carefully study the prophecies of the Koran, we must conclude that there is almost nothing to analyze. In studying the context, we see that the Koran, in this passage, speaks only of the final day of judgment On that day the skin will speak with a voice, as well as eyes and ears. This is not at all a prophecy of an event that will take place on earth, but an apocalyptic description of the judgment of all Mankind. It is only when we extract this verse from its context and force an artificial meaning, that it seems to be prophecy for our time. It is as if the apologists for Islam are looking for ways to justify their claim of the Divine origin of the Koran. We can force a statement to fit something, if we really want to. Obviously, we can do this with other texts if we really want to, and this is particularly easy with the texts dealing with apocalypse, like this one. For example, if I open the Bible, at a section of the book of Revelation, the last book of the Injil, and it randomly opens at chapter 11 verse 8, which says, “their dead bodies will lie in the street of the great city that symbolically is called Sodom and Egypt, where their Lord was crucified.” I could easily start suggesting that it is a miraculous prophecy of the Arab Spring, describing the consequences of the Tahrir Square demonstrations in January 2011 that left more than 800 dead. Moreover, the city of Cairo is often taken to mean Egypt in the Arabic language (Misr). 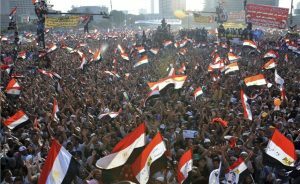 So we have 800 dead in Tahrir Square and a public square in the big city symbolically called Egypt The conclusion of someone looking for a prophecy to be fulfilled could suggest that Revelation 11: 8 prophesies the event with extreme precision almost 2,000 years in advance! It is dishonest to twist scriptures to make them fit! Of course, this is not what the text prophesies. I just invented it in a few moments to illustrate how easy it is to make modern events seem to fulfil ancient statements. I could make it very convincing if I wanted to, especially if I take the verse out of context, but even more so if I know that you are looking for reasons to justify your opinion of the Divine origin of book it comes from. This is exactly what we see in the great majority of the so-called prophecies of the Koran. There is no reason to think that the Koran makes these so-called prophecies. This does not mean that there could be no prophetic meanings hidden in the Koran. But for a prophecy to convince an objective investigator, it must fulfill a minimum of validation criteria which proves that it is indeed a prophecy, and not a simple text that can be transformed into prophecy. For example, the passage about the victory of the Romans in chapter 30 verses 2-4 may seem to be a prophecy, it is the clearest example of a prophecy in the Koran, so it is worth examining it more closely. If accepted as an accomplished prophecy, two minor problems and two major problems arise. The first minor problem is in the very nature of prophecy: it is not really a prophecy. Given the nature of the Persian-Byzantine conflict at that time, the victory of Byzantium was sufficiently visible. It is like saying “Manchester United has lost to Manchester City, but Manchester United will one day still be Premiership champions!” The other minor problem is the number of years that would have taken the Byzantium (Roman Empire) ) to be victorious. The verse of the Koran uses an Arabic term suggesting that it would be ten years or less. In reality, it took the Romans 17 years to finally defeat the Persians. Considering this passage as a fulfilled prophecy poses two other important problems. In the first place, the verses of the Koran have been regularly repealed . 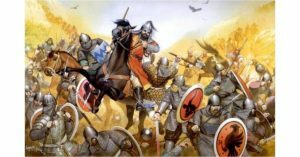 We know that the victory of Byzantium took place in the time of Mohammed; If this victory had not taken place, the text could easily have been withdrawn or abrogated. Secondly, and similarly, the compilation of the Koran was made only later. If this prophecy had not been realized, it could have been removed from the final version of the Koran, as other verses have been. Although the Koran was given, it is said, was given by verbal inspiration, without any involvement of the personality or limitations of Mohammed, Muslim theologians accept that after their initial revelation certain verses of the Koran were abrogated, subsequently modified, because their value was limited in time or were even a revelation originated by Satan. God himself exchanged some passages for better revelations. Forcing specific events to fit so-called prophecies is dishonest. No one who wants to have integrity and is an honest seeker of truth will have anything to do with such a method.